Raspberry Pi Eye – What have you seen lately? 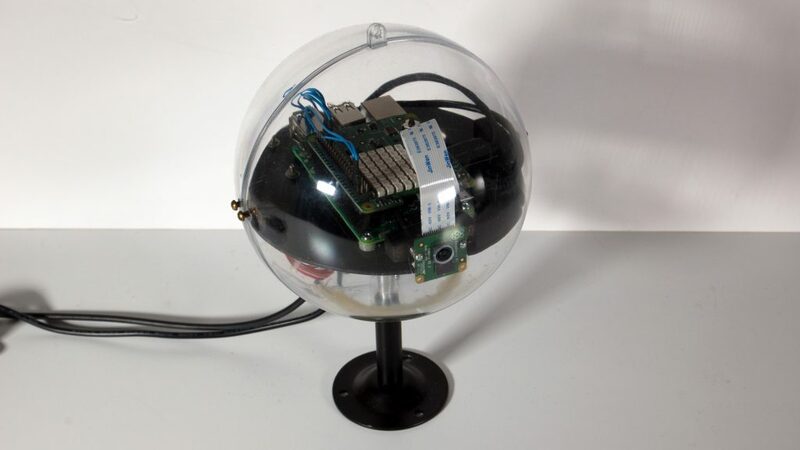 The Pi Eye Project started when I decided to use the Raspberry Pi computer as an aid to my research in vision. This tiny and inexpensive computer equipped with a high definition camera can run the entire Open CV (Open-source Computer Vision) suite of programs along with other software such as Heal Plots and Google’s Tensor-Flow. The original design goal of the project was to create a mobile visual capture platform that could sense motion and acceleration and that could easily move the camera in pan and tilt directions to capture its visual environment. The Raspberry Pi equipped with the Sense-Hat sensor board had a chance to achieve the motion sensing, and what I needed was a simple case to house the Pi and the stepper motors that would do the pan and tilt. This evolved into the current initial prototype of the Pi Eye seen below. This model will pan (horizontal left-right motion) but there is no tilt. That’s a second generation goal. 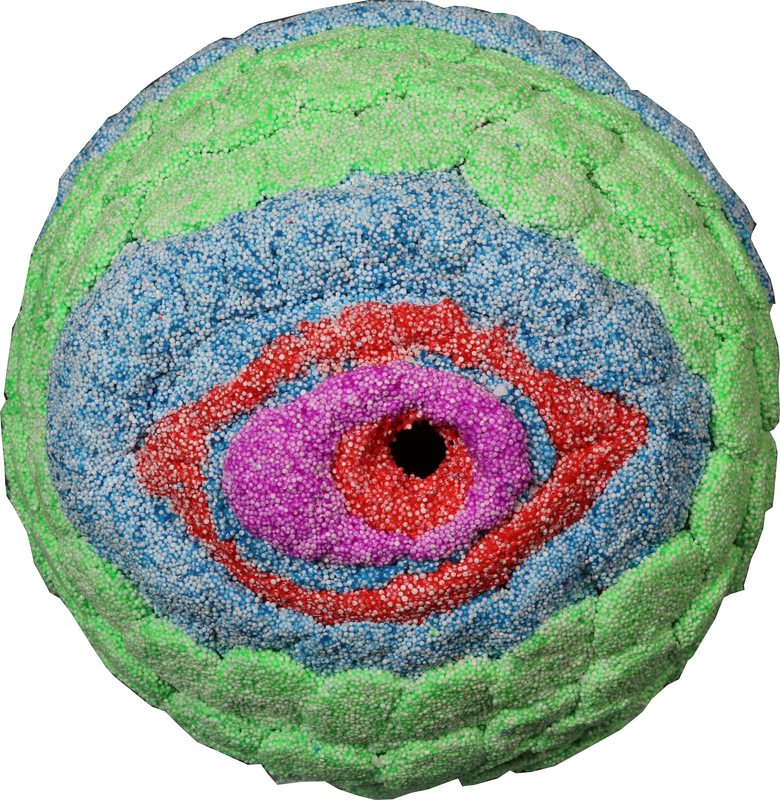 Once the prototype Eye was completed I wanted it to look like an eye. Something not too scary (no bloodshot, Frankenstein eye) and called on my artist friends Curtis and Ann to help me out. 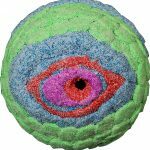 They designed an initial “skin” for the Eye, a friendly pastel-colored design that fit nicely over the front sphere. We are currently researching other types of artwork that might be used to customize the look of these eyes. The Eye was introduced to the world at the 2017 Bay Area Maker’s Faire. Due to interest expressed from visitors to the Faire we have put together an initial kit with components to make it easy for someone to clone this Eye. See the Technical Specifications pages for more details and contact us if you are interested in this project.